Since I joined FPN last year, and I saw some of the wonderfully grounded nibs, I had intended to begin to customize FP nibs, but I never found the right moment. However, I read most of the information on nib grinding you can find in the net. 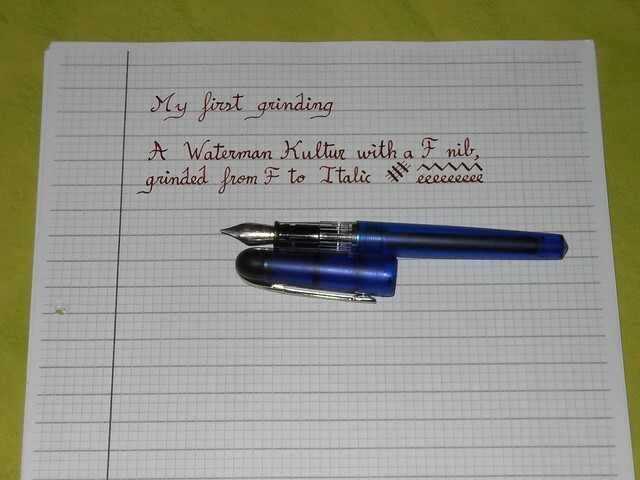 Today, I was playing with one of my Waterman Kultur and I decided that it was a nice candidate for a grinding job. 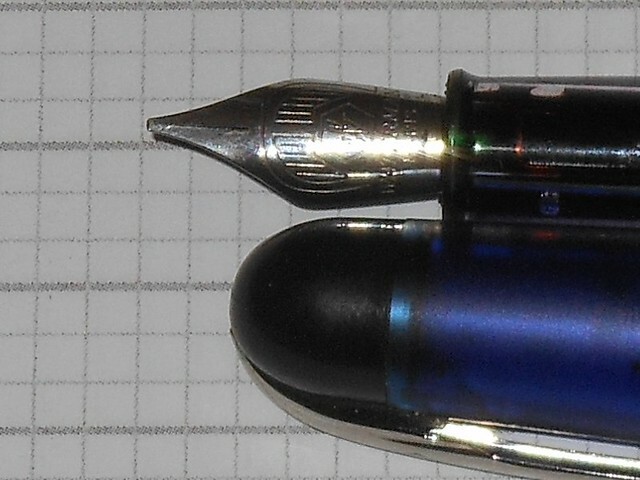 As all my Kultur, it had a F nib and, while it writes very well, I prefer broader nibs. So I told myself that I was going to try to transform it in an italic nib, some intermediate 0.9 mm italic. So I took my grinding stone, and tried to apply all the info I had collected. And after some time and lots of grinding-testing-regrinding-retesting iterations, I finally obtained a nice 0.9 mm italic nib, crisp but not scratchy at all, with a nice line variation.